Friday, February 7 1908 -- Along with another installment of Today in Sports, Herriman does his second strip in the Mister Amos Pidjin series today; wonderful dialogue in this one. A few quick annotations -- in panel five those mentioned are local L.A. luminaries, mostly of the ethically questionable variety. In the final panel Herriman engages in some rather dicey humor by suggesting that Admiral 'Fighting' Bob Evans, commander of the Great White Fleet, would lose in battle to Admiral Togo of Japan. Ambitious Activity the Amateur Detective is an example of one of the mainstays of comic strips back in the day. Parodies of Sherlock Holmes abounded, and this is among the earliest sustained versions in the comic strip form. 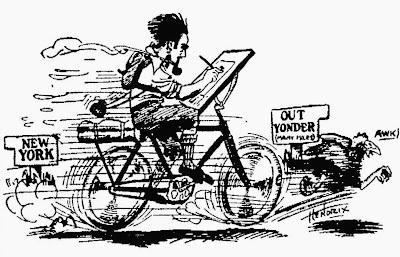 Frink produced the strip from December 28 1901 to March 7 1902. My guess is that Frink dropped this feature pretty quickly because at the tiny size at which the Daily News ran their strips it was pretty well impossible to set up a case to which Mr. A.A. could apply his master sleuthing prowess. Haile Thurman Hendrix was born in Warrensburg, Missouri on March 18, 1897. The information is from Susan Craig's Biographical Dictionary of Kansas Artists (active before 1945). Craig's entry for Hendrix was based on Lydia Sain's manuscript on Kansas Artists from 1932 to 1948. According to the California Death Index at Ancestry.com, Hendrix's first name, Haile, was his mother's maiden name. His mother, age 5, was found in the 1880 U.S. Federal Census. In that census the family name was spelled "Hale"; notation on a family tree said the correct spelling was "Haile." In the 1900 census, the Hendrix family lived at 705 Olive Street in Madison, Missouri. He was the oldest of two children born to John and Minnie; his father was a blacksmith. Haile T. Hendricks [sic] arrived in Fort Wayne last evening from Toledo, Ohio, where he visited the Willard and Dempsey training camps and where he had interested interviews with both fighters. He rides a bicycle and is enroute to San Francisco, from New York city. He is making the trip on a wager that he can complete the entire distance of 3,000 miles in less than 90 days. The wager stands $1,000 to $800 in Hendrix's favor, providing he wins. In fourteen days he has been on the road he has loafed four days, spending the time in Philadelphia, Cleveland and Toledo. He expects to complete the trip in less than three months. Thus far the young man, who is but 22 years of age, had no tire trouble covering the 850 miles without changing tires. He left New York penniless and makes his expenses by making pen sketches of things he sees along the road. These are sold to newspapers and other publications. Hendrix is a cartoonist and was formerly connected with New York newspapers. The date of his arrival in San Francisco is not known; it could have been from late July to mid-August. Apparently he stayed briefly on the west coast then returned by train to New York. Hendrix has not been found in the 1920 census. He moved Los Angeles, California. 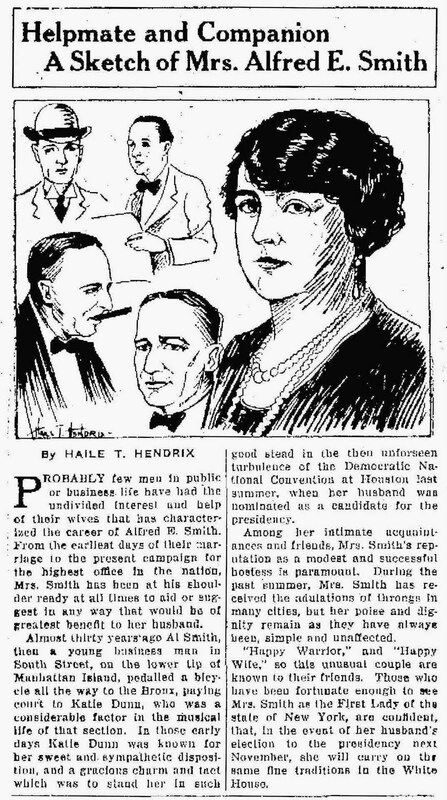 The Omaha World Herald (Nebraska) published an article about Hendrix on August 5, 1923. Viola Dana whose latest starring vehicle, "Her Fatal Millions," is at the World theater, has had her portrait made in batik by the originator of the process, Haile T. Hendrix, of Greenwich Village, who lately has come to Los Angeles. Mr. Hendrix has wandered far in search of suitable subjects for the practice of his art. He has not traveled on a train since the summer of 1919, preferring to hike from one part of the country to another "when the spirit moves him," which is often, he says. Miss Dana had the honor of being the first person in Los Angeles to have her portrait done by Mr. Hendrix. …More than six years ago Mr. Hendrix determined to make portraits in batik. He finally succeeded after ruining acres of silk. The portraits in batik are waxed and dyed for every color. The one of Miss Dana contains six colors. Even yet the process is delicate and prolonged. Mr. Hendrix spent twenty-five consecutive hours in making sketches transferring Miss Dana's likeness to batik, stopping only long enough for coffee and cigarets. In 1930, Hendrix lived alone at 39 East 11th Street in Manhattan; he was a cartoonist for a newspaper. In 1936 he drew attention to himself as reported in the New York Post on January 7. Those impolite stickers lambasting the Roosevelts, which are being circulated by the National Republican Council, were produced by an artist on the WPA rolls, it was learned today. The artist is Haile Hendrix, a little man with a very big mustache, who concedes freely that the stickers are in bad taste but points out that the National Republican Council had money to pay for them and the $103.70 a month he gets from WPA for teaching cartooning doesn't go very far. "Sure, they're in bad taste," he said. "They represent a collaboration by Lambert Fairchild, William Ingles and myself. I suggested a bunch of ideas, we mulled over them and they picked the five they like." Mr. Hendrix is thirty-eight, a native of Kansas [sic] and a former newspaper cartoonist. He has no political affiliations, he made it clear. On January 1947, Hendrix's first issue of Caricature appeared in Greenwich Village; he held the copyright according to the Catalogue of Copyright Entries, Third Series, Volume 1, Part 2, Numbers 1 & 2, Periodicals 1946-1947. The date and place of his second marriage is not known. A 1951 New York passenger list recorded him and his wife, Shirley, on their return from Bermuda on March 17, 1951; they lived at 128 West 13th Street. Hendrix passed away on August 12, 1953, in San Diego, California. The New York Times published news of his death the following day. San Diego, Calif., Aug. 12 (AP)—Haile Hendrix, former caricaturist for New York newspapers and for seven years publisher of the Greenwich Village newspaper, Caricature, died here today at the Naval Hospital of cancer. His age was 56. Mr. Hendrix came to San Diego last June. He was at various times caricaturist for The New York Herald-Tribune and The New York World-Telegram. Earlier he had been a reporter for newspapers in Los Angeles, New Orleans and Dayton. He is survived by his widow, Shirley, and a daughter, Jo Anne, of New York. I have recently been researching Haile Hendrix due to coming across a cached of letters he wrote 1923-24. The collection also includes a number of portraits of him and pictures he took in LA. I have found quite a bit more information on him than what is given here. Especially interesting finds from my research: I have located and communicated with his only child (still living) and, amazingly, a half sister who is 42 years his junior. If anyone is interested, I am happy to share my findings on him. 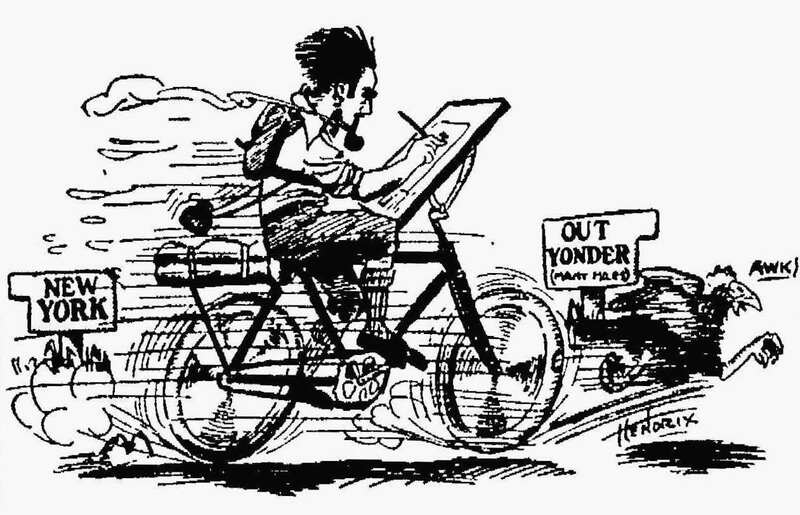 I'm looking for a cartoon he drew in 1923 for the Los Angeles Evening Express? Is it possible you would have it? I seriously doubt it-- I just have a few Hendrix cartoons and they are all ones I have found online. His original sketches in the letters I mentioned are more just illustrative doodles. What is the subject of the cartoon you are seeking? 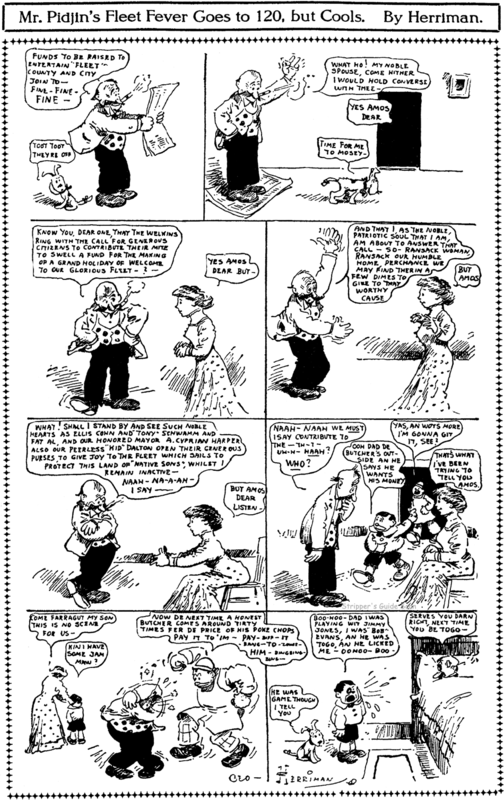 John Held Jr.'s Margy character was featured in no less than three different comic guises. First as a little panel cartoon titled Oh Margy, then as a daily and Sunday strip titled Merely Margy, and finally as a magazine cover series titled simply Margy. We've already covered the first two, so let's finish things off with the Margy series. By the early 30s Held's flapper girls had fallen out of favor, and frankly he was pretty tired of them himself. But his most famous flapper did get cover featured on the Hearst Sunday newspaper magazines (through International Feature Service) twice after the Great Depression struck. The first series ran from March 8 to June 21 1931, the second from August 30 1931 to sometime early in 1932. Although Held's artwork is still superb (a bit of a wonder since he was going through some pretty intense personal problems in these days) the writing is almost haiku-like in it's ultra-modern, sophisticated patter. Perhaps Held realized that readers were busy trying to figure out how much of Margy's svelte frame was visible under that chiffon and saw no reason to expend a lot of type on these lovely cover drawings. EDIT: Cole Johnson writes to tell me that Margy made at least a few one-shot type appearances on the Hearst Sunday magazine covers in 1936. Thanks Cole! Joseph Stopford "Joe" Archibald was born in New Hampshire on September 2, 1898, according to his World War I draft card. In the 1900 U.S. Federal Census, he was the youngest of three children born to Alexander, a farmer, and Angeline. The Archibalds lived with Angeline's parents, the Stopfords, in Newington, New Hampshire. At the age of twelve, he had sold his first cartoon to Judge magazine. By the age of fifteen, he had begun his writing career with a prize-winning contribution to the Boston Post. Archibald attended Chicago Academy of Fine Arts before enlisting in the United States Navy during World War I. 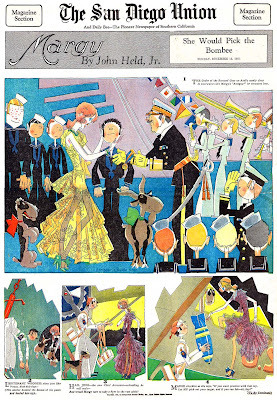 During the war, Joseph Archibald served on a naval sub-chaser and as staff cartoonist for a service publication. After his military service, Archibald returned to New England and became a reporter for several Boston newspapers. In the 1920s, Archibald became the sports columnist and a cartoonist for the New York-based McClure Newspaper Syndicate. Archibald has not been found in the 1920 census. In 1930, Archibald lived in Port Chester, New York at 18 Summer Street. He was a self-employed author and artist. He married Dorothy when he was 29. According to the website Lambiek, he found work in the comic book industry. 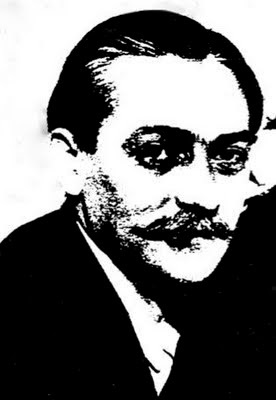 The industry publication, The Author and Journalist (Volumes 34-35, 1950) identified him as an editor of the Standard Comics Group in New York. A list of his credits can be viewed at the Grand Comics Database. Something About the Author said he was "editorial art director for Magazine Publishers, Inc., Pines Publications, and Better Publications, Inc., 1949-54." According to the University of Oregon Libraries, Special Collections and University Archives, "The Joseph Archibald papers [from 1962 to 1967] comprise literary manuscripts and television scripts concerning the military, specifically Vietnam and the Air Force." Archibald passed away on March 1, 1986 in Barrington, New Hampshire. Joe Archibald kicked around trying to make it as a newspaper cartoonist in the 20s and early 30s, and the closest he ever came to success on that quest (and it was a long way away still) was Saga of Steve West, a feature syndicated by the New York Evening Graphic. As with all the Graphic's features, it found few takers outside of the small chain of McFadden-owned newspapers. Saga of Steve West is written and drawn in the style of Oliver's Adventures, Bobby Thatcher and other 'boy wanderer' features, but with an older protagonist. Steve seemed to be in his late teens or early twenties. 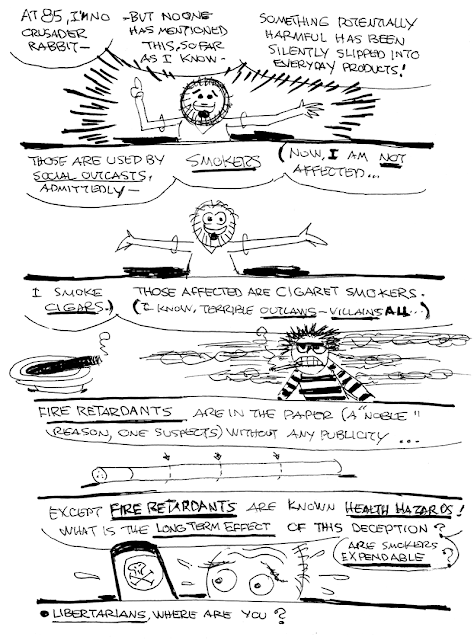 Wish I could tell you more about the plot, but beyond these isolated examples from Cole Johnson I've only seen the strip in my own very small collection of Graphics, and there seems to be a dearth of expository dialogue to get us, um, occasional readers, up to speed. 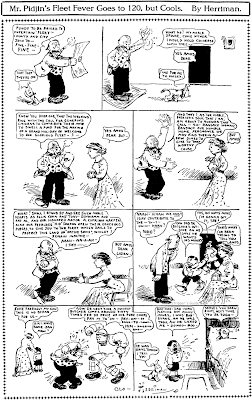 Saga of Steve West began on November 12 1928 (based on strip numbering of later strips), and ended either in late September or the first week of October 1929. Archibald later became a rather prolific pulp writer, and in the late 1940s, he became a comic book editor.